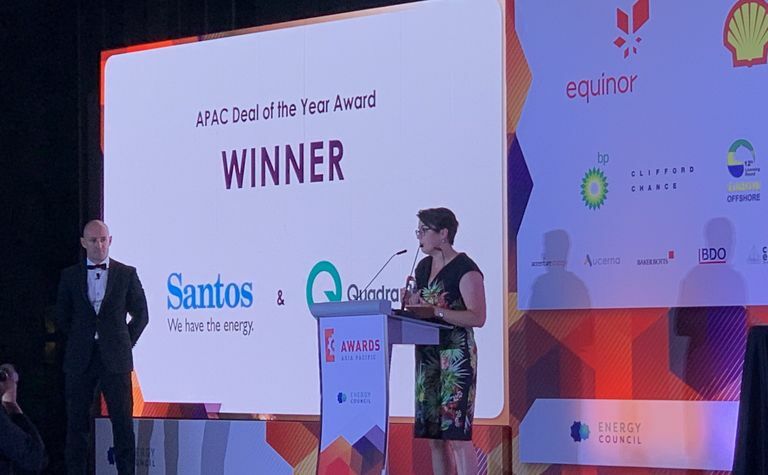 SANTOS’ US$2.15 billion acquisition of Quadrant Energy last year won Deal of the Year at the Asia Pacific Energy Awards ceremony in Singapore last night. 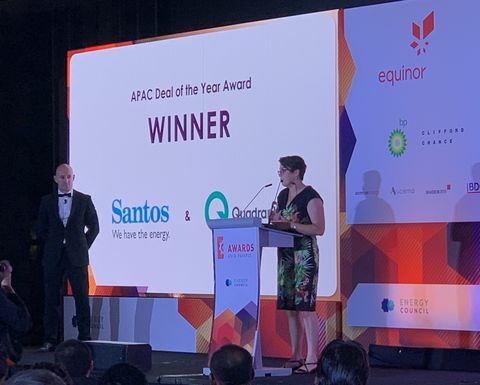 Naomi James EVP Midstream along with Nick Pembshaw at APAC accepting award for deal of the year on behalf of Santos for the acquisition of Quadrant Energy. 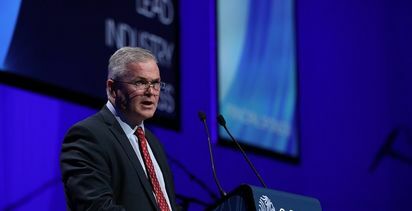 Image thanks to K Gallgher. 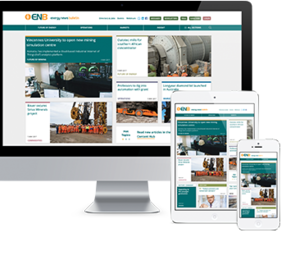 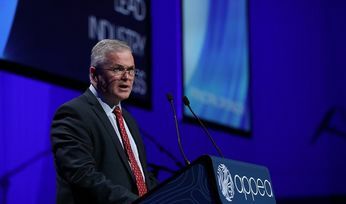  The Adelaide oiler, itself a takeover target for a time with a $14.4 billion offer from US private equity firm Harbour Energy last year, paid $1.